Download "Personal Computer Checklist (Windows 10 and Internet Explorer 11.0) RealPage, Inc."
1 Personal Computer Checklist (Windows 10 and Internet Explorer 11.0) RealPage, Inc.
3 Contents Accessing Internet Explorer... 3 Compatibility View... 4 Internet Options... 4 Temp Files... 5 Stored Pages and Disk Space... 6 Trusted Sites... 7 Security Level for Trusted Sites Zone... 8 Privacy Pop-up Blocker Close Internet Explorer Display Settings Third Party Pop-up Blockers Accessing Internet Explorer 1. 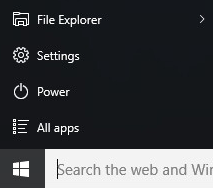 Click on the Start Button and select All Apps from the menu. 2. 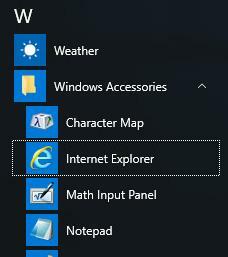 Find Internet Explorer under Windows Accessories. 4 Compatibility View OneSite will not display correctly if the browser does not have appropriate Compatibility View settings. Please configure your browser as stated below. 1. To begin, open Internet Explorer from Desktop mode. 2. Press the Alt key to display the Menu bar (or press and hold the Address bar and then select Menu Bar) 3. Tap or click Tools, and then tap or click Compatibility View Settings. 4. 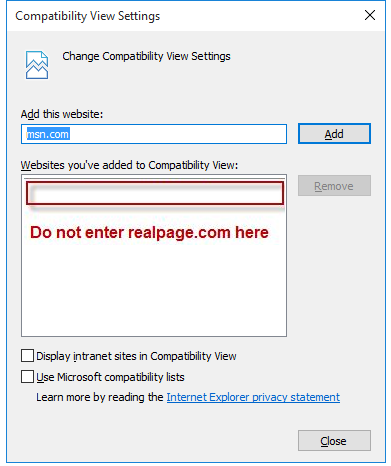 If realpage.com appears in the list for Websites you ve added to Compatibility View: remove it. 5. Make sure you do not select the check box for Use Microsoft compatibility lists and press Close. Internet Options There are several options for Internet Explorer that must be set properly in order for you to use OneSite. To begin, open Internet Explorer, click the Tools menu, and select Internet Options. 5 Temp Files 1. From the General tab, click the Delete button. 2. Select Temporary Internet Files and clear the Preserve Favorites website data check box. You may select other available selections, but it is not necessary for OneSite. 3. Press the Delete button. The process only deletes temporary Internet files, not personal or program files, and may take more than a minute. 6 A system message will appear at the bottom of the browser to inform you when the process is complete. Stored Pages and Disk Space 1. Click the Settings button to access the stored pages and disk space options. 8 Require server verification ( for all sites in this zone. 5. Enter *.realpage.com in the Add this website to the zone field, and click the Add button. The entry is added to the Websites list. 6. Close the window by clicking the Close button. Security Level for Trusted Sites Zone 1. 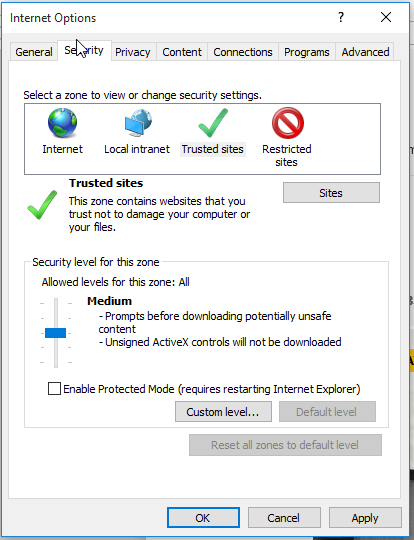 Confirm that trusted sites is still selected as the zone that you are working with. 2. Click the Custom level button in the Security level for this zone section. 10 5. On the same page, locate the miscellaneous section. Select Enable for the option to allow script-initiated windows without size or position constraints. 6. Click the OK button to save these settings and return to the Security tab. 13 2. Close all Internet Explorer browser windows. (Internet Explorer cannot start using some of the changes until all active windows have been closed.) Display Settings 1. Right-click on the Start Button and select Control Panel 2. Under Appearance and Personalization select the task Adjust screen resolution. 3. On the Settings tab, use the drop down to set the screen resolution to the required OneSite setting of at least 1024 x 768 pixels. Then, click the Make text and other items larger or smaller link on the same page. 15 blocking software being used on personal computers. Although RealPage does encourage security, OneSite requires the use of pop-ups. 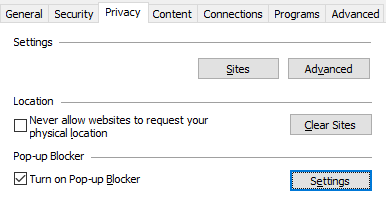 In most cases, you can configure your pop-up blocking programs to allow trusted web sites to have pop-ups. Anti-virus software, anti-spyware, and toolbar programs are the most common software to contain pop-up blockers. If you want to use any of these types of software, please contact the program vendors for instructions on how to configure their pop-up blocker to allow *.realpage.com to have pop-ups. If the program which is blocking OneSite from using pop-ups is not a program you want to use on your personal computer, you can uninstall the program using the following steps. 1. Right-click on the Start Button and select Control Panel. 2. Select Uninstall a program from the list. 3. Select the program you wish to remove in the list and click the Uninstall button. 4. Follow the on-screen prompts until the program has been removed. 5. Close the Add or Remove Programs window. 6. Close the Control Panel. CougarTrack Troubleshooting - Internet Explorer 8 If you are having difficulty accessing pages in CougarTrack, please read through the following information and make any applicable changes to your computer. User Guide. Copyright 2003 Networks Associates Technology, Inc. All Rights Reserved. Banner Document Management System (BDMS) Integration with Self Service Banner (SSB) We are pleased to announce the integration of Banner Document Management System (BDMS) with Self Service Banner (SSB). Q1. Does PC Security work with other antivirus or firewall software installed on my computer?